At Easttown Township Board of Supervisor meeting last night, the board vacancy was on the agenda. The supervisor appointment was announced and it did not go to Michael Wacey (D) who received the third highest number of votes in the November election. Rather, the decision was to appoint Republican Karl Romberger, an attorney to the Board of Supervisors. Although the supervisor appointment was to be made by the four remaining members of Easttown Township’s Board of Supervisors (all Republicans), it should be noted that they were split in their decision with Jim Oram and Betsy Fadem voting for Michael Wacey and Marc Heppe and Chris Polites voting for Karl Romberger. In the case of a tie, 2-2, Easttown’s Vacancy Committee (Kim Richards) was to cast the deciding vote. After I wrote the initial post on this issue, I was contacted by a member of the Easttown Township Democratic Committee – she wanted to explain the timing of Brandon Adams departure, the election results, etc. I asked her if it was true that Mr. Adams was aware (prior to the General Election) that he would not be able to serve if he were elected. I had previously heard this information and wanted to verify and she said yes, that his company had been acquired and that employees were not permitted to serve in this capacity. Fair enough; through no fault of his, the candidate would not be able to serve and it was too late to have his name removed from the ballot prior to the election. Do I think that Michael Wacey should have been chosen as the replacement supervisor? Yes. His running for public office proved his interest in sitting on the Board of Supervisors and he received nearly 1,400 votes. But at the same time, I hold the Easttown Township Democratic Committee somewhat responsible for the outcome of the situation. Good for Betsy Fadem and Jim Oram, both Republicans, who stepped up and voted to appoint Democrat Michael Wacey, rather than letting partisan politics govern their decision. And lastly, congratulations to Karl Romberger on his appointment to Easttown Township Board of Supervisors. The Votes from Election Day 2017 are Counted — But Easttown Township is Looking for a Replacement Supervisor! When you turned the calendar to 2018, you probably thought that Election Day 2017 was finally in the rear view mirror. Not so in Easttown Township. Although the election results are in, the township finds itself looking for a replacement supervisor. On Election Day, Easttown Township residents were voting for two supervisors – four candidates appeared on the ballot, two Republicans and two Democrats. When the votes were counted, incumbent Betsy Fadem (R) received the most votes, followed by Brandon Adams (D). Michael Wacey (D) received the third highest and Fred Pioggia (R) the fourth highest number of votes. The supervisor seats went to the two candidates receiving the highest number of votes – in this case, Fadem and Adams. With the New Year, Fadem continues to serve on the board of supervisors with Adams set to begin his first term. That is, until the residents learned Brandon Adams cannot serve – apparently his employer was acquired by a company (since the election?) that prohibits his serving in local government. This is an unusual situation and there does not appear to be an automatic process to fill the vacancy. Although there isn’t an automatic process, wouldn’t it just make sense for the vacancy to go to the person whom received the third highest number of votes, which in this case was Michael Wacey. Both Democrats, it would seem a reasonable solution for Wacey to step in as supervisor for vacating Brandon Adams. Of course, that solution is only viable if Michael Wacey was available and willing to serve but according to the agenda from the January 2 meeting of the Board of Supervisors he is. My name is Michael Wacey and I live at Beaumont Road, Berwyn. I want to thank the Easttown Board of Supervisors for all the time and careful thought that they put into their work. We are very lucky to have this Board to manage the affairs for our township. In the fall, I ran for Easttown Township Supervisor and came in Third. Ms. Betsy Fadem, an incumbent appointed Supervisor, came in first and Mr. Brandon Adams came in second. Mr. Adams will most likely resign on January second rather than take the office. He is doing this for personal reasons beyond his control. As the third-place finisher in November, the citizens of Easttown would reasonable expect this board to appoint met to fill the vacancy. The board has met with Mr. Adams. I have express to the board, in writing, my desire to serve the people of Easttown. As I see it, the board has three options in 15 days: 1) Appoint me in recognition of the wishes of the Easttown voters; 2) Appoint someone else such as Mr. Pioggia, the four-place candidate in November. Or someone who did not run; 3) Ignore the voters and conduct a search and appoint someone who did not run in November. As this directly affects me, I am here tonight to ask the board to let the citizens of Easttown know what the Board plans are. 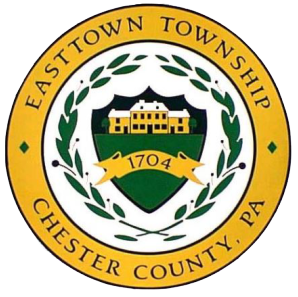 Easttown Township seeks applicants for consideration of appointment to the Board of Supervisors. The term for this appointment is for two years, expiring on December 31, 2019. Interested residents should send a letter of interest/resume to Township Manager, Dan Fox, via email by end of business day on Wednesday, January 10, 2018. The Board vacancy occurs if the elected official, Mr. Adams, announces his intention not to serve at the Board meeting on January 2, 2018. If this vacancy does occur, the Township will begin accepting resumes from interested candidates for one month beginning on January 3, 2018. If the Board cannot agree on an appointment for this vacancy, a fifth vote will be cast by the member of the Vacancy Committee. According to the notice on the township website, today, January 10, 2018, is the last day to receive applications for the supervisor vacancy. I know that the four remaining members of the Easttown Township Board of Supervisors are trying to do the right thing, especially given that the selection process to fill the vacancy is not automatic. However, here’s my vote to keep it simple and drama-free by appointing Michael Wacey as the replacement supervisor. Wacey received the third highest number of votes in November and has stated that he is willing to serve. This should be an easy, uncomplicated decision. The 11th Annual Historic House Tour (hard to believe that it’s been 11 years!) is coming up in a few weeks and final preparations are in full swing! 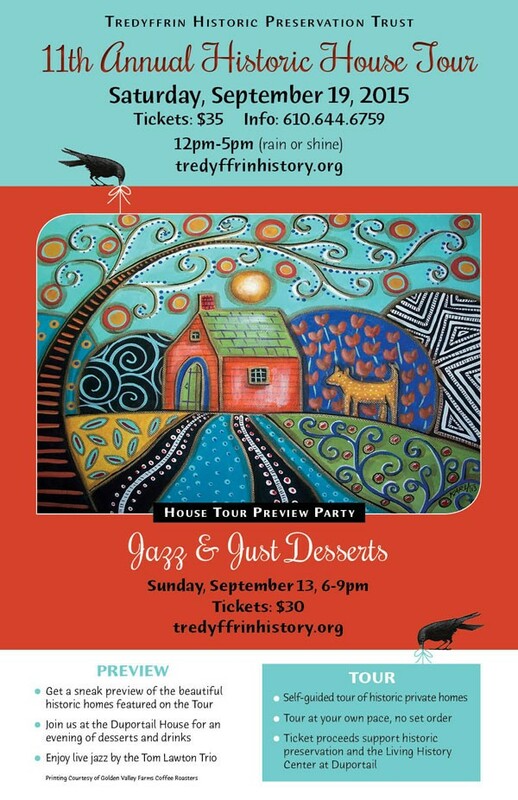 Tickets for the 2015 house tour on Saturday, September 19, noon – 5 PM and Jazz & Just Desserts, the house tour preview party, on Sunday, September. 13, 6-9 PM at Duportail House are available online at www.tredyffrinhistory.org . The house tour is the largest annual fundraiser for Tredyffrin Historic Preservation Trust and all proceeds from ticket sales and sponsorships support historic preservation and the completion of the Living History Center at Duportail. The 11th Annual Historic House Tour features an interesting mix of eight private historic homes in Tredyffrin, Easttown and Willistown Townships plus the Diamond Rock Schoolhouse, an octagonal one-room school house in the Great Valley. Discover the beauty of historic preservation on the tour, everything from a mid-1800’s French Normandy hunting lodge on Valley Forge Mountain to Deepdale, the original 19th century stone farmhouse and the 1915 English Cotswold revival estate, ‘Deilwydd’. Enjoy stops at two different 150-year old carriage houses and marvel at how the owners skillfully adapted the buildings to 21st century family homes. Also included on the tour is a sprawling 1900’s brick farmhouse in Malvern built by sisters, Ellen and Rebecca Winsor. Pro-suffrage activists from Haverford, the Winsor sisters were among 17 Pennsylvania women imprisoned for their “Silent Sentinel” picketing of the White House under President Woodrow Wilson. We are still accepting sponsorships for the house tour, which helps to make the annual event possible. Ticket and sponsorship information is on the Trust website or you can email me at info@tredyffrinhistory.org. It’s great to see many individuals and companies supporting historic preservation through the house tour, along with a number of elected officials and candidates. Its history and the preservation of our historic buildings helps to make this community special! As the saying goes, “If walls could talk what stories they could tell.” Each featured property on the house tour has generations of original stories to tell! Hope to see you on the tour! For taxpayers living in Tredyffrin and Easttown Townships, they saw no municipal real estate tax increase in 2014 or 2015. In the Tredyffrin Township 2015 budget presentation, it was announced that real estate tax assessments continue to grow and that the township saw “increased construction of both residential and commercial properties which are a major cause for the increased assessment.” No real estate tax increase in Tredyffrin for 2015 follows a no real estate tax increase in 2014. Similarly, Easttown Township taxpayers received no real estate tax increase for the period. In neighboring Radnor School District, taxpayers did not receive a real estate tax increase for 2014-15 whereas the taxpayers of TE School District saw their real estate tax bill increase 3.2 percent during the same period. Looking ahead to the 2015-16 budget for the two school districts, Radnor School Board announced this week that they will not seek exceptions and the proposed tax increase will not be greater than the 1.9 percent permitted by Act 1. TE School Board has voted to seek exceptions and the preliminary budget currently in discussion for 2015-16 includes a 3.68 percent tax increase. Budget and Affordable Care Act on TE Special Meeting agenda tonight … Is this the precursor to outsourcing? There is a special TE School Board meeting scheduled for tonight for 7 PM at Conestoga HS. The two items for priority discussion on the agenda are (1) The Board will consider options to close the projected budget imbalance of approximately $3.1 M for the 2014/15 school year and (2) Presentation of the impact of the Affordable Care Act (ACA) on the School District. Unfortunately, this important special school board meeting conflicts with both the Tredyffrin and Easttown Board of Supervisors organizational and regular meetings, which includes the swearing in of newly elected officials, previously scheduled for tonight. In the District’s draft budget (included in the agenda), the base model for the 2014/15 school year indicates a $3.1M budget deficit – this model assumes no tax increase from the Act 1 Index or referendum exception (PSERS, Special Ed). In the projection model that includes the Act 1 index (2.1% tax increase) the District’s budget deficit is reduced to $1.2M. A third project model shows the budget deficit reduced to $141K if the District takes the referendum exception (1.1% tax increase) and the Act 1 index (2.1%). The $141K deficit project model would still requires the District to find other cost savings in addition to the 3.2% tax increase to the residents. If the District imposes the 3.2% tax increase for 2014/15 school year, I think that would make the third year in a row they have imposed the maximum tax increase allowed by state law without a voter referendum. But here’s the disconnect for me – on one hand, the Board has voted to take the maximum tax increase but … for the last several years, the District has come up with multi-million dollar budget surpluses. As examples, the 2011/12 year saw the District in a surplus position of $3.9M and for the 2012/13 year, the surplus was nearly $5M. The budget surplus is not reflected in the District’s draft budget nor indicated in the next year’s budget. The multi-million budget surplus is added to the District’s fund balance and the taxes continue to rise. Since the multi-million dollar budget surplus is taxpayer dollars, wouldn’t it be great if the taxpayers had a say regarding the surplus? Here’s an idea — Rather than adding additional millions of taxpayer dollars to the fund balance, what about using some of the budget surplus dollars for health insurance benefits to that all TESD employees as covered as required by the Affordable Care Act. Afterall, the District lists ACA and the TEEA teacher contract as the two items to impact the 2014/15 budget. Following the District’s 2014/15 budget discussion tonight, is an ACA overview by attorney Rhonda Grubbs. Her presentation will discuss how the federal law will affect TESD and its employees. Grubbs is an associate at Wisler Pearlstine, the law firm of Ken Roos, the District’s solicitor. You may recall that Grubbs offered her legal opinion on the ACA at a TE school board meeting last spring in response to the District’s aide, para and substitute teacher outsourcing debate. Don’t get me wrong; I think a legal presentation on the ACA and how it will affect the District and its employees is important. However, in my opinion, residents and employees would have been better served by a third-party legal expert versus a representative from the District’s contracted law firm. And what about an insurance expert – I’m certain that there is any number of local insurance consultants/experts who would make a presentation to the District (and I’m guessing would do so, free of charge). Under the ACA, employers will be required to provide employees who work more than 30 hours per week with health care benefits. The federal mandate will go into effect for school districts in the 2014/15 school year. Currently T/E aides, paras and substitute teachers do not receive health coverage. For the record, T/E is the only school district in the area that does not provide health insurance for their employees – Great Valley, Radnor and Lower Merion school districts all offer healthcare coverage to all their employees. After much debate, the Board decided not to outsource the aides, paras and substitute teachers for the 2013/14 school year. It is my understanding that 40% of the District’s aides/paras did not return for the current school year. Although neither the school board nor the administration has confirmed it – I was told that the positions of non-returning aides/paras who worked 30 hours or more were outsourced. If this is true, than the number of District employees that need to be covered by the ACA has dropped since this issue was debated last year. As follow-up, how has the outsourcing of the aides/paras worked out for the District? For the record, several parents, aides and paras have told me that the result has been less than satisfactory — it would be interesting to know if the administration and Board are pleased with the job performance of these contracted employees. I cannot help but think that the administration and the school board may have already made up their minds about the ACA situation. Were it not for the pushback they received last year, I believe that the administration would have already outsourced the jobs of aides, paras and substitute teachers working 30 or more hours per week. Clearly, the handwriting was on the wall in 2013 for the District’s aides, paras and substitute teachers and the 2013/14 school year may prove to be only a one-year reprieve for these employees. Some have described tonight’s planned Affordable Care Act presentation by the District’s law firm representative as nothing more than a PR move but … I remain hopeful that some of our school board members will show their support of the District’s aides, paras and substitute teachers and fight for them to keep their jobs (and their hours). Easttown Township Annual Easter Egg Hunt, Saturday, March 16 — Free! 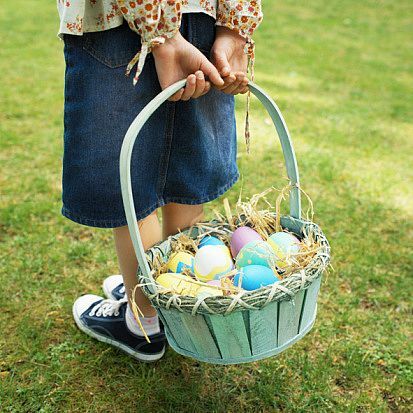 Bring your baskets and your cameras for the annual Easter Egg Hunt. Egg Hunt, Games, Prizes and the Easter Bunny will arrive on a Berwyn Fire Company Fire Truck. Children of all ages are invited to attend. After serving Easttown Township for 40 years, it was hard for many to believe that township manager Gene Williams was retiring. But retire he did. At the end of 2011, Williams retired and was succeeded by the township’s assistant manager Mike Brown. Brown was on the job for about 18 months as the assistant manager, brought on to take over once Williams retired. Williams retired and Brown took over in January 2012. Barely a year later, we now learn that Brown was escorted from the township building last week and Williams is brought out of retirement to fill in temporarily until a new township manager can be hired. Why? Clearly, there is something behind Brown’s sudden departure. Looking for answers, I contacted Jim Oram, the chair of Easttown Township Board of Supervisors last week. Oram explained that a press release would be coming out today, which he kindly sent to me. Unfortunately, the press release offers no further information as to why Brown is suddenly without a job and that the township is once again looking for a township manager. There is a Board of Supervisors meeting tomorrow night so perhaps there will be further details at that time. For now, here’s the official press release and we are left to wonder what happened. Tredyffrin Police Superintendent Anthony Giaimo did not need the Sandy Hook shootings to prioritize school safety. However, if you attended, or watched the TESD special safety meeting, or the District’s Finance or regular school board meetings, you may have come away with the mistaken impression that the Tredyffrin Police Department is only peripherally involved in the school safety process. Sure, T/E Superintendent Waters and Kevin Buraks, president of the school board spoke of the good working relationship with the police departments (Tredyffrin and Easttown). Waters and Buraks rationalized the hiring of Andy Chambers as District’s safety consultant because (1) need to act quickly following Sandy Hook; (2) Chambers knew the District buildings and (3) he was a lot cheaper ($125/hr.) than previous safety consultants. At the last school board meeting, someone mentioned the District had previously spent $100K for a safety consultant post-Columbine. Beyond the obvious transparent issues that accompanied the hiring of Chambers, I could not help but wonder how this safety consultant was going to work with current police staff, given the reasons behind his departure from Tredyffrin. I also could not understand what Chambers was going ‘to do’ for the District that experienced Tredyffrin Police Supt. Anthony Giaimo and Easttown Police Chief David Obzud, and their respective departments. were not already doing. For those like me, that may have been confused about ‘who knew what and when’ in regards to the school safety situation and Chambers hiring by the District, I clarified some of these points with Giaimo today. Fact: Giaimo has 23+ years of experience with the Tredyffrin Township Police Department. Fact: Neither Dr. Waters nor the school board consulted Giaimo before hiring Chambers. Giaimo was told a couple of hours before the announcement at the District safety meeting. Fact: The school ‘hardening’ suggestions that the District is implementing were the personal recommendations of Giaimo, including the notification panic buttons, buzzer system and the ballistic film on windows and doors. Fact: Giaimo has been actively involved in developing a crisis plan with administrators of each school and doing building safety assessment on District schools (as well as private and nursery schools). According to Giaimo, school safety has been an ongoing priority of his, not just post-Sandy Hook. Fact: Waters and the District were fully aware of Giaimo’s school safety and crisis plan – prior to the hiring of Chambers. Fact: There has not been a District school safety meeting between Giaimo and Chambers. Fact: It is unclear how Chambers efforts as the District’s safety consultant will differ from efforts currently performed by Easttown and Tredyffrin Township Police Departments. Fact: Representatives from the Police Department are on the District safety committee. School safety has been an ongoing priority for Giaimo and he has been very proactive in his approach since becoming Superintendent. He has a good working relationship with Easttown Police Chief Ozbud and the two are committed to coordinating school safety response, regardless of which township the school is located. I don’t want to ‘beat a dead horse’ over the hiring of Andy Chambers; I accept the Board approved his hiring. However, it remains unclear to me what additional safety information the District will receive as a result of Chambers’ hiring. Without a ‘scope of work’, it just appears that Chambers could be performing a duplication of effort at the expense of the taxpayers. It is my understanding that the school district will include Giaimo and Ozbud in any school safety decisions based on Chambers’ recommendations. Our police superintendent has the safety of our children as a continuing priority, not just because of Sandy Hook. Regardless of the number of Tredyffrin Police Department officers, Giaimo remains committed to school district safety. However, more important than ever, providing safety requires adequate police department staffing. If you agree, I strongly suggest attending Mondays Board of Supervisors meeting. (Click here for agenda). The Board of Supervisors has not authorized the two additional police officers recommended by the police department consultants, ICMA and approved in the 2013 township budget. A Review of Radnor Twp School District’s Teachers Contract … Will the Results Help T/E Teachers? The following Community Matters post, “Signed, Sealed and Delivered … Radnor Twp School District & Teachers Union Ink 3-year Contract with Salary Increase … Is there handwriting on the wall for T/E Teachers?” is from March 23, 2011. A year ago, the Radnor Township School District signed a 3-year contract with their teachers union( RTEA) that was surprising, given the economic situation of the times. Fast forward to 2012, and T/E is in the midst of their own contract negotiations. This post and the attached comments from a year ago, make for an interesting commentary to compare and contrast where we are in our own teacher negotiation process. Can we learn anything from the decisions of our neighboring school district? It is now official, Radnor Township School District and the teachers union, Radnor Township Education Association (RTEA) have voted to approve three-year contract, September 1, 2010 – August 31, 2013. Below are some of the highlights of the contract. Eligible teachers will receive a one-time retirement payment from $25K – $50K (depending on number of retirees). The retirement option is in effect for limited time to allow district to reduce payroll. OK, so looking at the contract inked between the Radnor Township School District and RTEA, is the handwriting on the wall for T/E School District? So much for Gov. Corbett’s recommendation for a one-year freeze . . . Radnor’s teacher union only agreed to a 6-month freeze. However, after the 6-month salary freeze, the teacher union pulled off 7.5% salary increase for the following 2 ½ years of the contract. Remember, if a teacher qualifies for a step increase, his or her salary increase would actually be higher than the average yearly salary increase. Radnor’s teachers contract is remarkable given today’s economy and budget shortfalls! Easter Egg Hunt in Berwyn . . . Free Community Event for Children of All Ages! Bring your baskets and your cameras for the annual Easter Egg Hunt. Thousands of eggs and each filled with a surprise! Children (all ages) are welcome and gift bags for all participants.